The beautiful clean lines and striking colour contrast will add a touch of sophistication to your office or living room. With two handy drawers, plus a central storage compartment with a mirror. 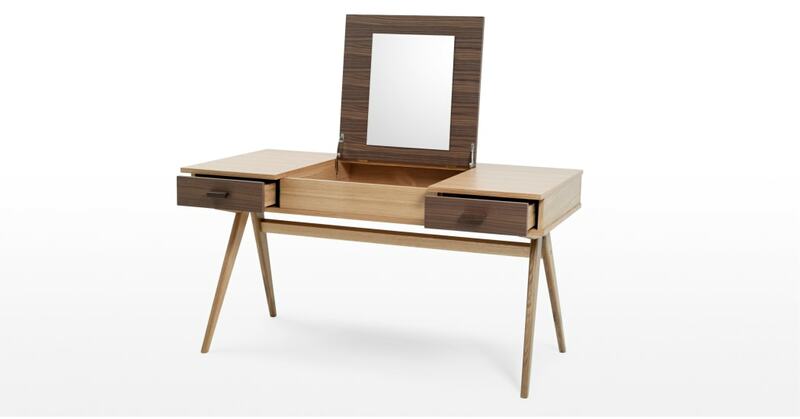 This clever desk can double up as a dressing table. Strong and sturdy, the legs are solid oak and the desk top is veneered in oak. The drawers and central lid are veneered in walnut. Structure - solid oak with engineered wood and thick oak and walnut veneer. Legs - solid oak. Internal panels - melamine. 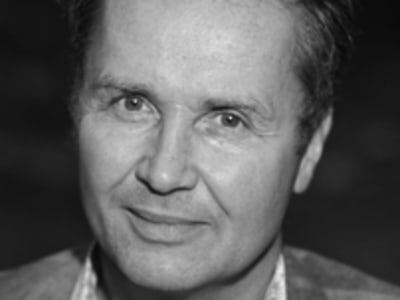 Designer Steuart Padwick’s 30 years in the furniture industry have earned him plenty of awards. And, rightly so. He’s even designed furniture for royalty. From seating, storage, office and bedroom furniture - his contemporary creations are among our most popular, and have become MADE design icons.